Hey guys! Long time no see. A lot has happened. Life happened. You know the drill. I am extremely busy and I do not have a lot of free time on my hands. 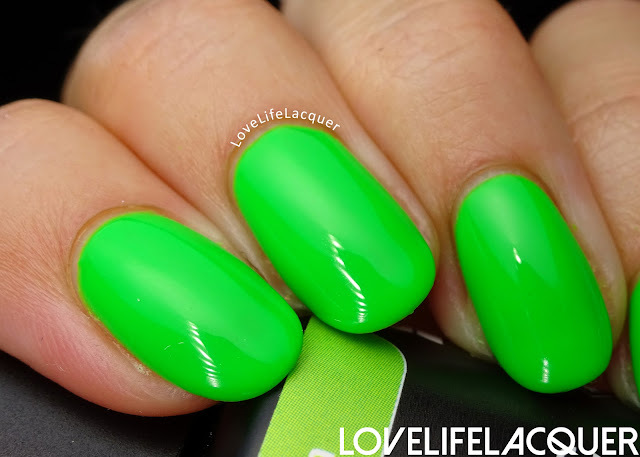 I miss blogging, I miss doing my nails, swatching new colours and doing nail art. But I simply do not have the time to sit down, do some nail art, take some pictures, edit them, write a blogpost and manage my social media accounts. 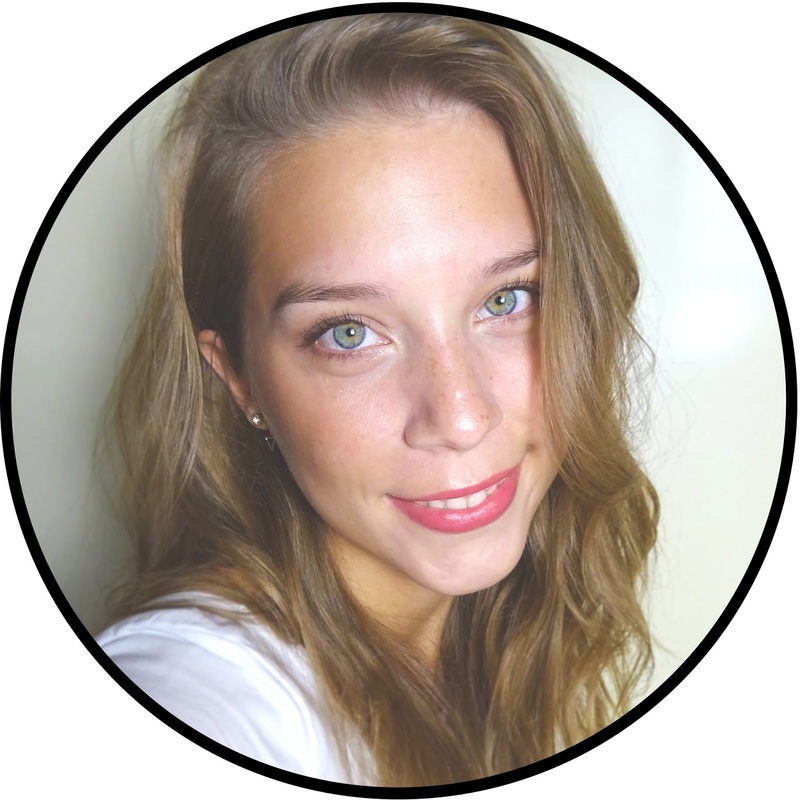 I am slowly trying to get back to blogging frequently. And I promise I will have some very exciting content coming your way, starting today! 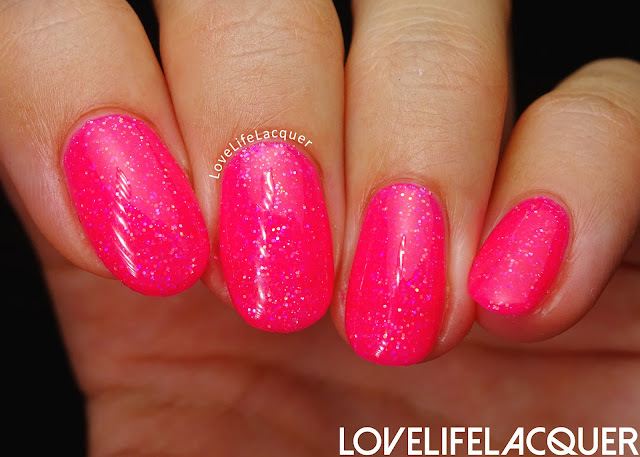 189 Paradise Pink - Paradise Pink is a bright neon pink with iridescent glitter. It has a nice thicker consistency, which makes it extremely easy to apply. Very similar to Ibiza Pink, plus glitter of course. Even though it is a very pigmented colour, the glitters are still very pronounced. Just like it should be. 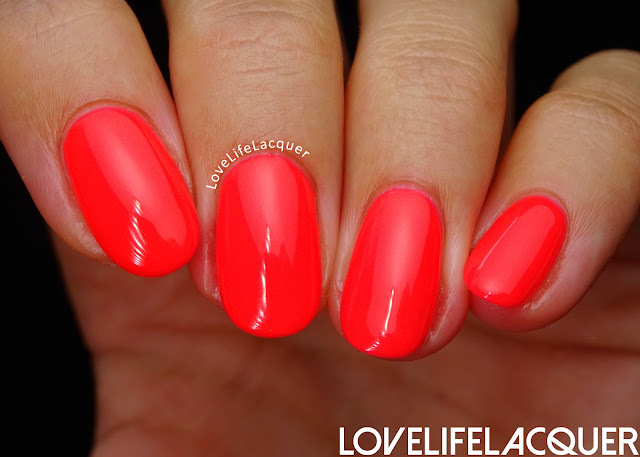 A beautiful Summer colour for fingers and toes and everything in between ;-). This is 2 coats. 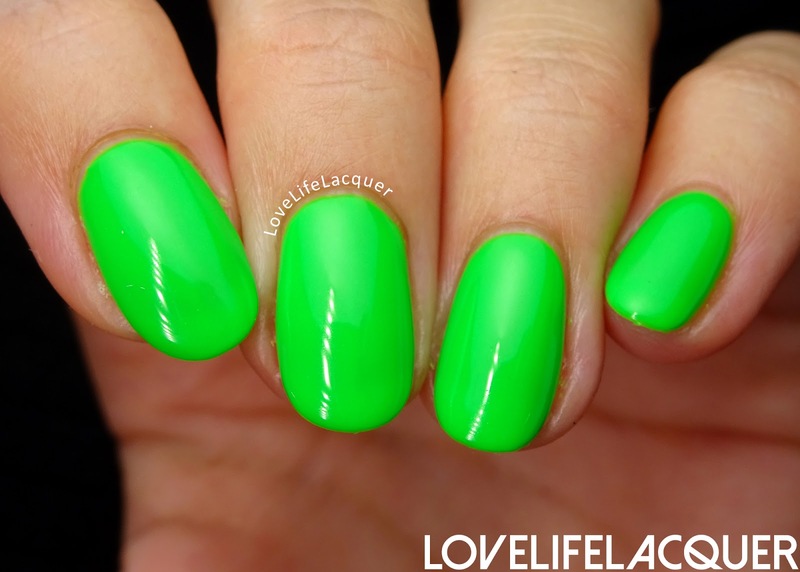 190 Secret Garden - Secret Garden is a bright neon green. This one has a slightly thinner consistency, but it still applies very easily. I am thinking of applying it over white, maybe it looks even brighter! This is 3 coats. 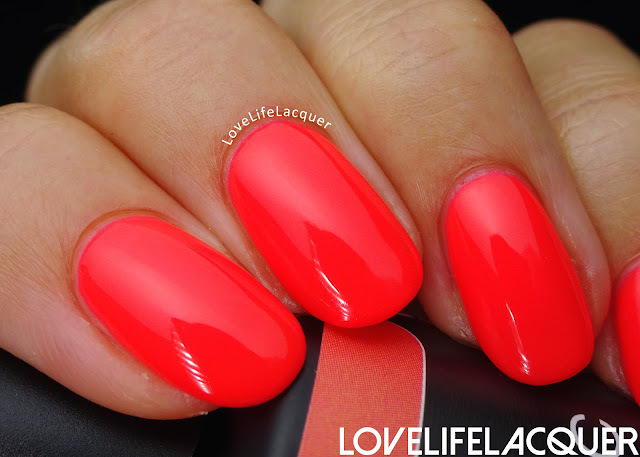 191 Neon Flirt - Neon Flirt is a bright neon coral. YES!!! This screams Summer! I love corals. Love love love. You know what, the formula is super great, too. And it makes you look tanner than you actually are ;-). Beautiful colour + beautiful formula = pure love. Great job, Pink Gellac! This is 3 coats, but 2 is definitely enough. 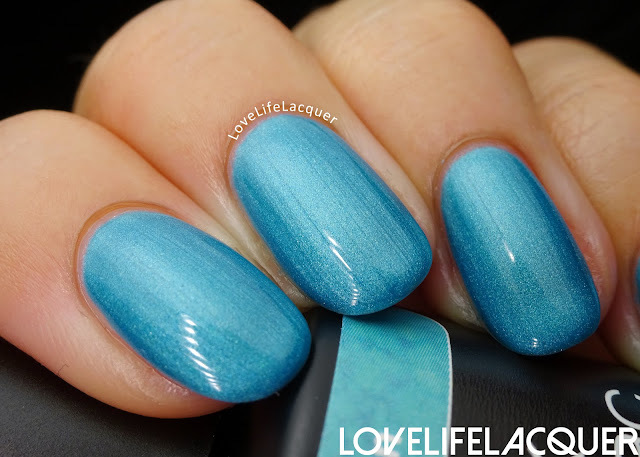 192 Blue Moon - Blue Moon is a shimmery blue, but definitely not neon. However it is still a beautiful colour, and probably the most wearable one out of the bunch. It is very similar to 135 Electric Blue, but Electric Blue is a bit more turquoise whereas Blue Moon is just a blue colour. This is 3 coats, but 2 might be enough. 193 Blazin Purple - Blazin Purple is a bright neon purple with blue iridescent glitter. I think this colour is most unique one, but it is also a pain to get it editted perfectly.. MEH. 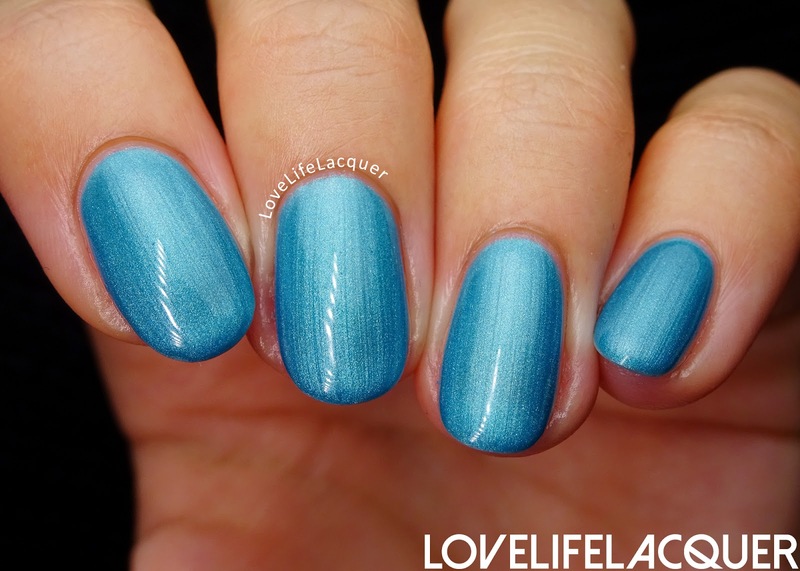 Again, gorgeous formula, great application and you can still see the glitters even though the polish is pretty pigmented. This is 3 coats. There you go! What is your favourite? 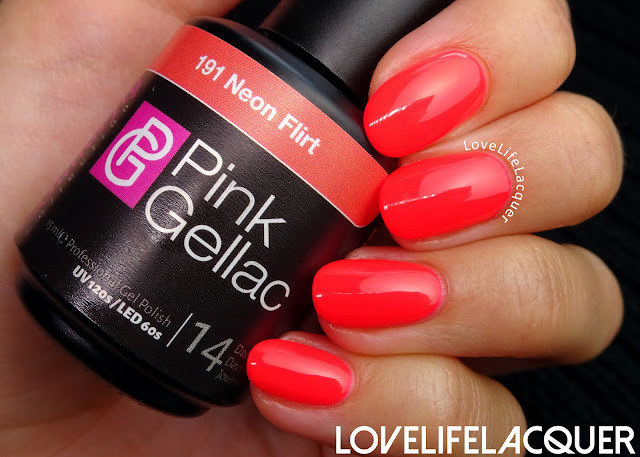 Mine is definitely Neon Flirt, but I love the other ones, too. They are just a teeeeeny tiny bit less wearable for work :-D. But, hey, they will probably end up on my nails anyway!